With people being online now more than ever, providing your clients with an accessible way to purchase your products or services is essential to your business’s success. If you already have online forms up and running on your website, you’re one step ahead. Web forms are great since they can fit into almost any order and payment scenario by integrating them with payment processors. This way, your clients will be able to order and pay directly online, without other inconvenient steps between. This is where integrating your forms with payment processors comes into play. Square is one of the big players when it comes to payment processing. They provide a fast a reliable way to handle online transactions between your clients and you. Due to the high level of technology used, they provide a very secure environment for your transactions. Integrating your forms with Square works well in many situations. Web forms with Square enabled process any type of transaction, no matter if you’re selling something or receiving donations. By integrating Square, the users were able to start collecting money online. In the first example, the owner of an ice cream store, provides people with a way to order ice cream that he produces online. 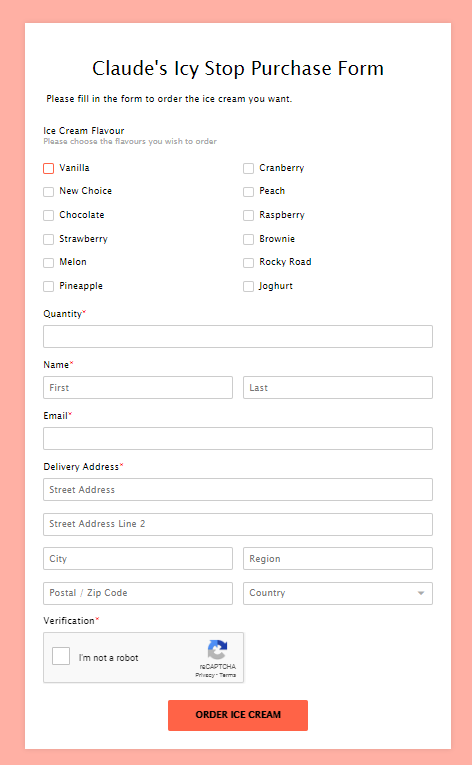 The form was made especially for bulk orders. 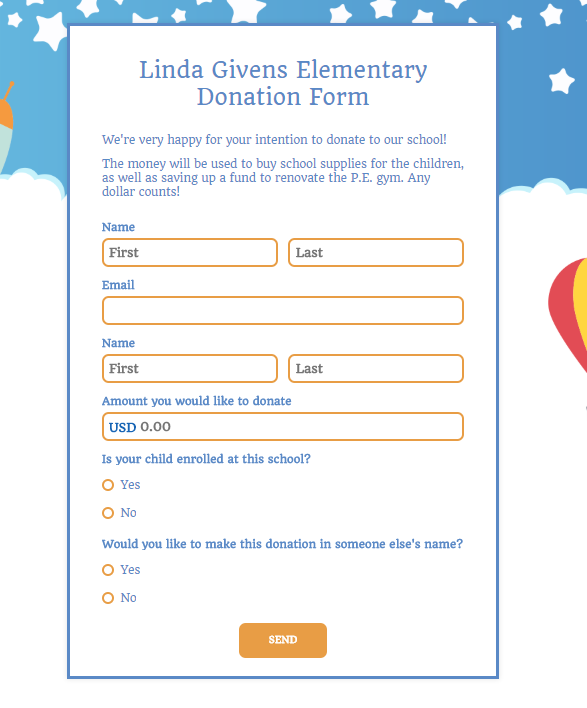 The second user, the school is offering parents a way to contribute to the school’s well being by having an online donation form. Integrating Square is pretty easy. We’ve put together a step-by-step guide below, take a look. 2. 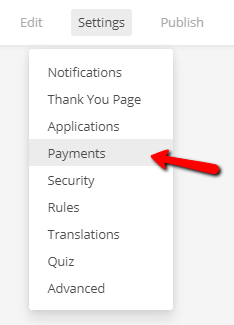 Press the Payment gateway drop down. 6. Don’t forget to save! That’s all! By doing these steps you will have all transactions made through your forms sent in directly to your Square account. Please make sure that your Square token will not expire after 30 days. If this happens, you can increase the period from Square app. By default, the token expires after 30 days. Check it and if you still have issues, please send us an email at support@123formbuilder.com. Our Support Team will kindly help you. Thank you! We already have Square, to you charge a rate also or is it just the standard Square rate we are charged for each transaction? 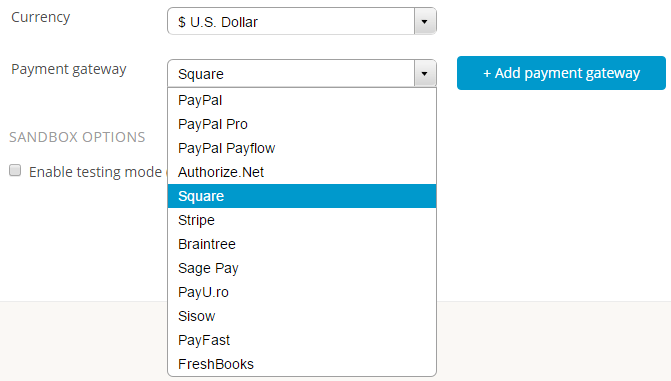 Here are our transaction fees: https://www.123formbuilder.com/payment-gateways-comparison/ You will find Square on list, as well. If we can help you with more details, please send us an email at support@123formbuilder.com.